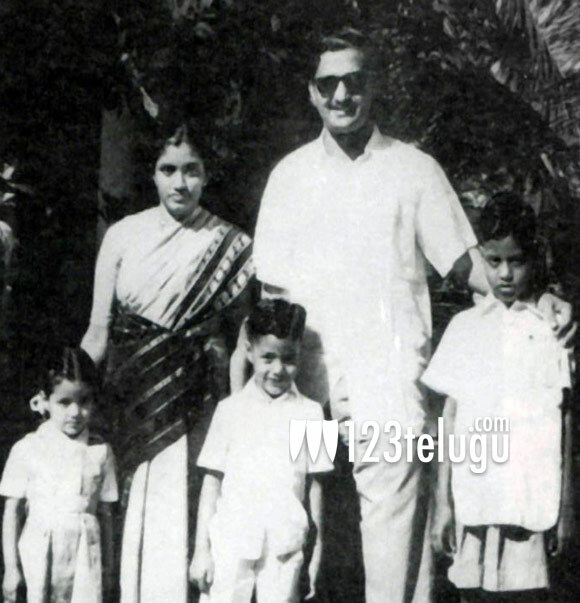 This is a rare photo taken many years ago and we can see Dr. Nandamuri Taraka Ramarao garu with his wife and children. The young boy in the middle is none other than a quite young Balakrishna. He is flanked by his brother Sai Krishna and sister Bhuvaneshwari on either side. See the photo and enjoy folks.